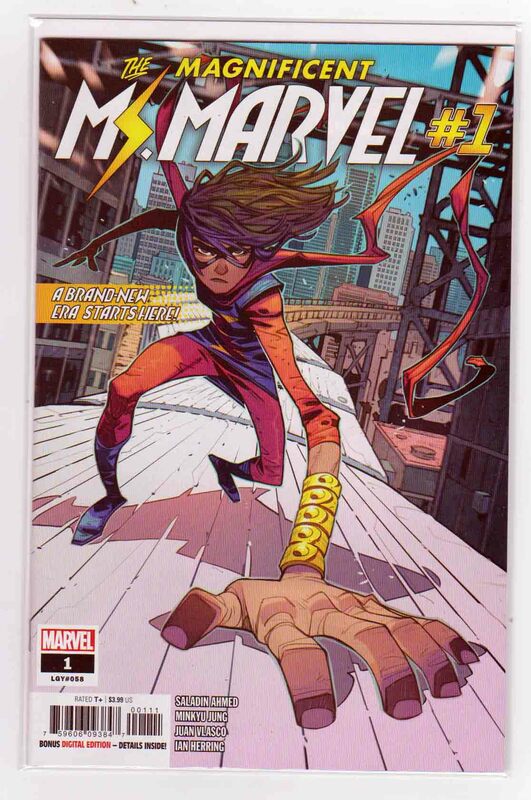 Magnificent Ms Marvel #1 (2019) Eduard Petrovich Cover & Minkyu Jung Pencils, Saladin Ahmed Story, Deathbringer (First appearance) MS. MARVEL IS BACK! But it's not business as usual in Jersey City. Aliens are wreaking havoc in Kamala's corner of the world, and they seem weirdly interested in Ms. Marvel and her family.